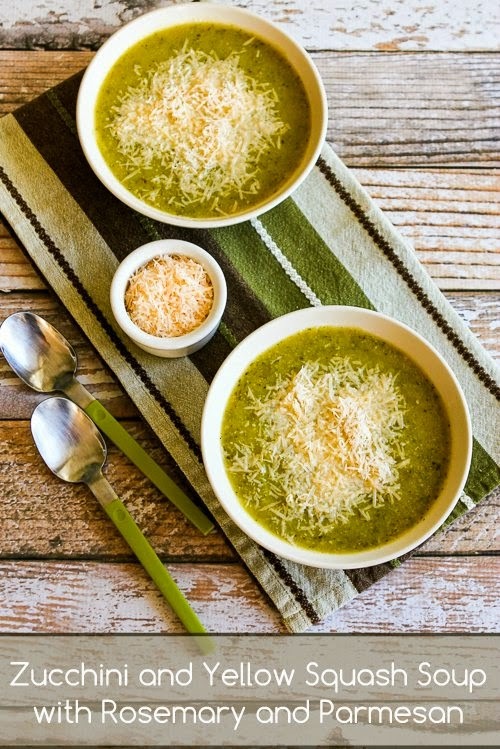 Zucchini and Yellow Squash Soup with Rosemary and Parmesan is perfect to welcome the arrival of fall. (Updated with better photos and step-by-step instructions, September 2014.) This delicious Zucchini and Yellow Squash Soup with Rosemary and Parmesan is a recipe that has a lot of sentimental value for me. I first made it in 2008 when Lisa of Homesick Texan sent me the link to this recipe on Epicurious.com and told me how delicious it was. And I was making soup back then because I had just gotten braces on my teeth!